Fl. Sicul. Syn. 2: 813 (1845). Accepted Scientific Name: Scilla peruviana L.
Sp. Pl. 309 (1753). L.
Origin and Habitat: The Sicilian Squill (Scilla sicula) is a rare geophyte plant of Malta (Malta, Gozo, and neighbouring islands), it is also found in Southern Italy (Sicily and Calabria, but extremely rare in these two localities). Habitat and ecology. This species grows from an underground bulb that can survive in shallow soils in hot arid garigue, valleys, and rocky steppes, sometimes along country roads. In Malta it used to be considered as rare but nowadays it seems to have increased and is considered as a scarce plant. In fact it does seem to be increasing. Caloscilla clusii Jord. & Fourr. Caloscilla hughii Jord. & Fourr. Scilla cupaniana Schult. & Schult.f. Scilla filangeri Tineo ex Lojac. Caloscilla elegans Jord. & Fourr. Caloscilla flaveola Jord. & Fourr. 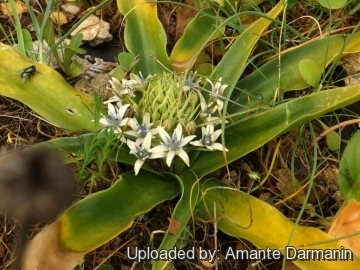 Scilla hemisphaerica var. glabra Boiss. Caloscilla grandiflora Jord. & Fourr. Caloscilla livida Jord. & Fourr. Caloscilla pallidiflora Jord. & Fourr. Caloscilla subalbida Jord. & Fourr. Caloscilla subcarnea Jord. & Fourr. Scilla peruviana subs. ughii (Tineo ex Gussone) K.Richt. Caloscilla venusta Jord. & Fourr. Scilla peruviana var. zaborskiana Emb. Scilla pseudoperuviana Tineo ex Lojac. Scilla pubens Welw. ex Lindl. 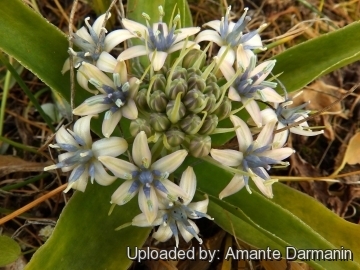 Description: The Sicilian Squill (Scilla sicula) is a bulbous herbaceous perennial (geophyte) with smooth elongate leaves pointed at the tip. 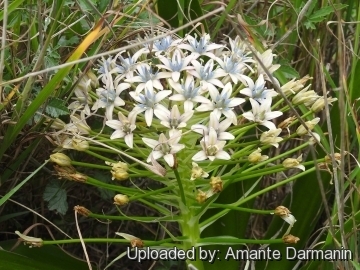 It is distinguished by pale flowers and broad, marginally ciliate leaves (with a line of short, white hairs).The flowers grow around a short stem creating a pyramidal to hemispherical inflorescences. The flowers have pale bluish-grey or pinkish-grey petals, with blue stamen filaments and green anthers. Sometimes they are so light that they are nearly white. Taxonomy:* Scilla sicula is one of the several morphological or geographical form of the very variable (mostly bue flowered) Scilla peruviana which form a complex of related taxon. However, intermediates occur and it is doubtful if this can justifiably be recognized as a distinct species, there is so much variation that most authors choose to lump them together. Leaves: Smooth elongate (quite broad), pointed at the tip. The margin of the leaf has a thin transparent margin bearing fine, short, white hairs that can be seen with a hand lens. Inflorescences: The inflorescence is a pyramidal to hemispherical raceme. The raceme elongates in fruiting. Flowers: With 6 tepals, pale bluish-grey or white with a dull pinkish tinge, striped greenish, rarely completely white. The stamens have bluish filaments and green anthem. The carpel are also bluish. The flower bracts are whitish with a green middle vein, often shorter than the flower stalk especially at fruiting. Blooming season: Late winter to early spring (in habitat February to April). Fruits: the fruit is a pointed capsule. Scilla sicula Tineo ex Gussone: has paler flowers and broad, and sparsely ciliate leaves. Distribution: Malta and Southern Italy (Sicily and Calabria). 4) Conti F. & al. "An annotated Checklist of the Italian Vascular Flora". Palombi Editore 2005. 5) SPETA F., "Systematische Analyse der Gattung Scilla L. s.l. (Hyacinthaceae). 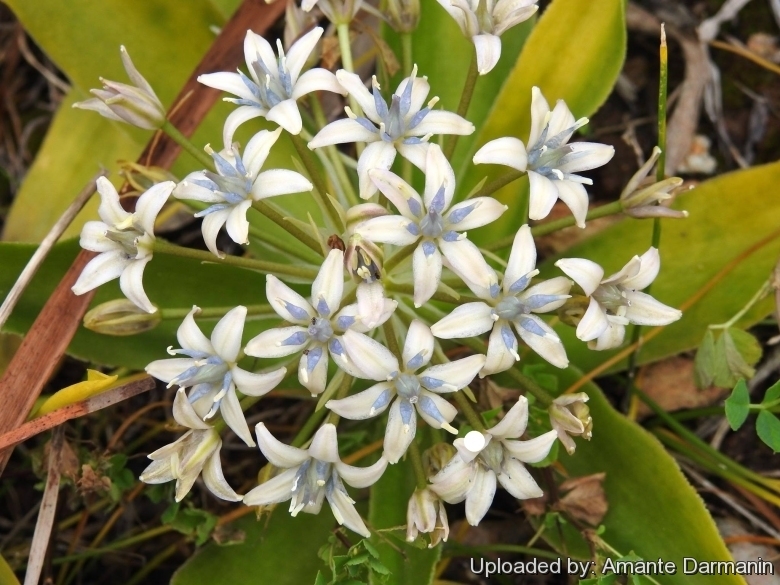 (Systematic Analysis of the genus Scilla L. s.l. (Hyacinthaceae)". Phyton (Austria), 38(1): 1-141. 1998.